London $300 million jewel heist: Drill, elevator shaft involved in theft. Detective Chief Inspector Paul Johnson of the London Metropolitan Police Service’s Flying Squad. They were somehow able to enter the building without leaving any sign of forced entry. They “disabled the communal lift on the second floor” and used the elevator shaft to climb down to the level of the company’s vault. 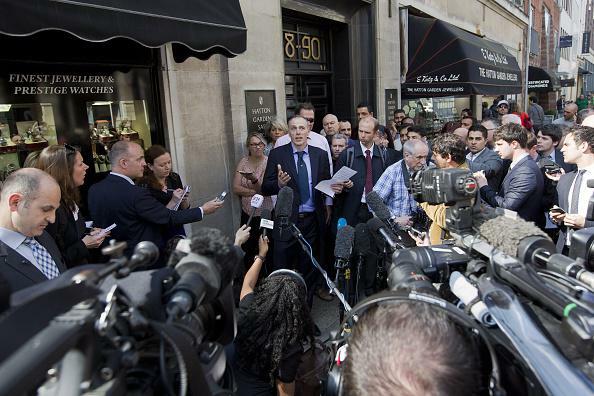 The thieves reportedly opened up to 70 safe deposit boxes once inside the vault, which per the Guardian is used by “many of the jewellers who operate from the heart of London’s gem district.” (A number of clients’ valuables were/are reportedly uninsured.) It’s not clear how the thieves opened the boxes, but “power tools, including an angle grinder, concrete drills and crowbars” were left behind in the vault.